Because of the importance of the Days of the Week of divine creation in Ibn al-Arabi's cosmology, he writes about them at length in the Futuhat and other books. In his mysterious book al-Tanazzulat al-Mawsiliyya (The Spiritual Inspirations at Mosul, Concerning the Secrets of Prayers and the Original Days), he devoted the last ten chapters to these divine Days and their relations with the heavenly orbs and the seven planets. However, it is not easy at all to extract a lot of information from this book because he intentionally used a very difficult language full of signs and secrets. However, some of his sayings there provide very useful information when we compare them to his statements in other books. For example, right in the full title of that book, we are led to understand that there are 'original' Days, as opposed to the normal witnessed days on earth. We shall discuss in more detail the different types of days that Ibn al-Arabi introduces and talks about there in the following chapter IV, but what we shall now outline in the remainder of this chapter relates mostly to the 'original' Days of divine creation, which are 'the Days of (divine) Events', and not our normal witnessed days of the week. To begin with, because each Day of the divine Week is ruled by a specific divine Name, it has to have a special significance related to this Name. This distinctive significance is not so apparent in the normal, 'circulated' days as it is for the original Days of Events as they were created by Allah. We shall first outline here the divine significance of each Day of the Week in the process of creating the macrocosm of the heavens and the earth - and also the microcosm of the theomorphic human being (insan). Allah, the cherished and the glorified, created the first Day (event) in Sunday; and the earth was created on Sunday and Monday; and on Tuesday and Wednesday the mountains were created, the rivers were cleft, fruits were planted and in each earth its food was determined, then turned He to the heaven when it was smoke, and said unto it and unto the earth: Come both of you, willingly or unwillingly. They said: We come, obedient.? So He completed them seven heavens in two Days and inspired in each heaven its mandate (41:11-12), on Thursday and Friday; and the last of creation was in the last hours of Friday, and when it was Saturday there was no creation in it. As we have already explained in earlier chapters, Ibn al-Arabi affirms that the motion of the Isotropic Orb determines only one Day, which is a one cycle starting from when the first degree of Gemini is matching the Foot in the Pedestal (see section II.4). So because the divine Pedestal is above the Isotropic Orb, which has no distinguishing signs, the length of the day cannot be known [II.437.34]. Although we on earth normally measure the day by hours and minutes or by the time of the earth motion around itself, this is a mere convention - while the actual length of the day/Day is only known to Allah [I.122.28]. 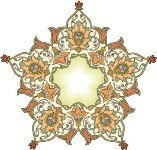 (the sun) is the heart of the world and the heart of the (seven) heavens. Allah created it on Sunday, and He made it a place for the Pole of human spirits, Idris peace be upon him. And Allah called this heaven 'a high place' (19:57) because it is a heart, although the heaven that is above it is higher (in physical place). But Allah meant the highness of status (makana), so the place (makan) (of the fourth, central heaven) is high because of its status, and Allah created it in al-simak (which is the central, fourteenth station of the twenty-eight stations or 'mansions' of the moon), and created its planet (the sun) and its orb, and created the letter nun (?) out of it. Also in chapter 46 of al-Tanazzulat al-Mawsiliyya, Ibn al-Arabi mentioned many mysterious details about this Day and his visit to the Pole of all spirits, the prophet Idris, in the orb of the sun. This chapter (46) of the Tanazzulat - together with its following few chapters, and taken in conjunction with related passages from chapters 15 and 198 of the Futuhat - deserves a separate specialized study which is beyond the scope of this book. I have just mentioned some related passages for the 'First Day' above as an illustration of those mysterious allusions in the Tanazzulat, but in the shorter summaries from the Futuhat below will have to pass over Ibn al-Arabi's corresponding remarks for the other Days. And the divine Name 'The Clarifying One' (al-Mubin) was intent on bringing into existence this lowest heaven and its planet (the moon) on the Second Day, in the (lunar mansion) of Iklil ('the Crown', which is the seventeenth station of the twenty eight lunar stations), and the letter dal (?) is from the motion of this orb. The moon is the fastest moving planet in the heavens, moving through one lunar mansion every day, so it goes through all twenty-eight lunar mansions in its day, which equals twenty eight earth days (according to Ibn al-Arabi, as explained in section 2 above). Ibn al-Arabi explains that from this motion the twenty-eight letters of the alphabet are created, regardless of how they are written or spoken in different languages [II.448.4] (i.e. the sounds). Allah made this first (lowest) heaven the place for the first prophet Adam, since he is the (first manifestation or exemplar of) the Perfect Human Being. The moon - in keeping with its association with Adam (the emblematic human being) - resembles the soul [I.499.5], and it is the second state of the appearance of the Single Monad, after the creation of the spirits (angels), which are purely spiritual creatures. That is why Adam himself lectured Ibn al-Arabi about the directions when he visited him in the orb of the moon (Al-Tanazzulat Al-Mawsiliyya: 261) - because through the creation of his Day (Monday) the space and the six directions started to form. For Wednesday he says that 'the motion of the Fourth Day came into existence from the (divine) Attribute of Willing (al-irada), so there is no part of the world but that it is seeking to glorify the One Who gives it existence [II.438.11]. Mercury is in the sixth sphere from the earth, and this heaven was created through the (self-disclosure of the) divine Name 'the Enumerator' (al-Muhsi). Allah created this heaven, its planet (Mercury), the Fourth Day (Wednesday), and letter ta' (?) in the lunar mansion of the constellation Zabana (which is the sixteenth station of the twenty-eight moon stations), and He caused Jesus to dwell there [paraphrasing II.445 26]. And the motion of the Fifth Day (Thursday) came into existence from the (divine) Attribute of Ability (or 'Power', al-qudra), so there is no part of existence but that it has been enabled to praise the One Who gives it existence [II.438.16]. Jupiter (al-mushtari) is in the sixth heaven from the earth, and it and its sphere were brought into existence through the self-disclosure of divine Name 'the All-Knowing' (al-‘Alim). Allah created this heaven, its planet, the Fifth Day and the letter dad (?) in the lunar mansion of the constellation Sirfa (which is the twelfth station of the twenty-eight moon stations), and He made it a dwelling place for the prophet Moses [paraphrasing II.444.25]. Friday holds a special importance for Muslims and especially for Ibn al-Arabi who says that in this Day our Tablet (i.e. the souls) received its secrets from its Lord, through the pens (i.e. the intellects). Ibn al-Arabi then says that 'the motion of the Day of Gathering (Friday) came into being through the (divine) Attribute of Knowledge: so there is no part of the world but that it knows the One Who gives it existence, with regard to its own essence, not the Essence of the One Who gives it existence' [II.438.13]. Venus is in the second sphere of the heavens from the earth and this heaven was brought into existence by the self-disclosure of the divine Name 'the Shaper' (al-Musawwir, the One Who gives form). Allah created this heaven, its planet (Venus), the Day of Gathering (Friday), and the letter ra’ (?) in the lunar mansion of the constellation Gafr (which is the fifteenth station of the twenty-eight stations of the moon), and He made it a dwelling place for the prophet Joseph [II.445.23]. Before the advent of Islam, the Arabs called Friday ‘Uruba ('the day of beauty and adornment') [I.645.25], because it was a distinguished day in which people meet. But in Islam Friday is called al-jum‘a ('the Day of Gathering') because that is the day people gather in prayer in one mosque. Ibn al-Arabi, however, gives another explanation of the deeper ontological meaning for Jum‘a. On this Day Allah created the Human Being (Adam) in His Image, so on this Day Allah 'gathered together' (Arabic verb jama‘a) the form of the Truly Real (al-Haqq) and the form of all creation in the theomorphic human being (insan), so that is why this Day is called Jum‘a [I.643.27]. And this special divine 'gathering' of the theomorphic human being has occurred on a specific hour of this Day, which made this whole Day holy, noble and the best of all Days. Ibn al-Arabi affirms that Allah created humanity (Adam) on Friday [I.466.15], following a well-known hadith in which the Prophet Muhammad said: 'The best Day the sun rises on is Friday: Adam was created in it, he entered into Paradise in it, he was taken out of Paradise in it, and the Hour (of the Resurrection) will only come on Friday' [Kanz: 21050]. So the Christians said the best of days - and Allah knows best - is the First Day (Sunday), because it is the day of the sun and it is the First Day in which Allah created the heavens and the earth and what is between them. He started the Creation in it due to its pride over the rest of the days. So they took it as a festival. … And the Jews said: 'But it is Saturday, because Allah completed the Creation on Friday and He rested on Saturday'…. Then for this community (of Islam) Gabriel came to Muhammad, may Allah have peace and mercy on him, with the Day of Jum‘a in the form of a polished mirror in which there is a spot (nukta), and he said unto him: 'this is the Day of Jum‘a and this spot is an hour in which no Muslim servant happens to be praying (when it comes to pass), but Allah shall forgive him.' [Kanz: 21063]. So the Prophet Muhammad, may Allah's peace and mercy be upon him, said: 'So Allah guided us to what the people of the Book disagree about, which is the divine explanation with the mirror' - and he assigned the guidance to Allah. And the reason behind its superiority is that it is the Day in which Allah created this human kind, for whom He created the creatures from Sunday to Thursday, so it has to be the best of times. And the creation (of human kind) was in this Hour which appeared as a spot in the mirror. … And this Hour in the Day of Jum‘a is like the night of destiny [laylat al-qadr, which according to Qur’an, is better than a thousand months (97:3)] in the year. As He, the Exalted, did with all the existents, He has chosen as the best one thing from each kind. He has chosen as the best from the Beautiful Names the Name 'Allah'; He has chosen as the best from the people the prophets; He has chosen as the best from His servants the angels; He has chosen as the best from the heavenly spheres the (divine) Throne; He has chosen as the best from the elements water; He has chosen as the best from the months Ramadan; He has chosen as the best from worshipping fasting; He has chosen as the best from the centuries the century of the Prophet Muhammad, may Allah have peace and mercy upon him; He has chosen as best from the Days the Day of Gathering (al-jum‘a); He has chosen as best from the nights the Night of Destiny; He has chosen as best from (good) deeds the prescribed deeds (al-fara’id); He has chosen as best from the numbers the number ninety-nine (in the hadith on the ninety-nine 'Most Beautiful Names' as mentioned above)…. As for (the reason) for His choosing Friday as best from the Days (of the divine creative Week), that is because in it the Two Forms appeared [i.e., of the cosmos and of the theomorphic human being, in their final perfected state]. Allah made that Day (of the Gathering) for the form…, and it is (uniquely) a feminine Day, for which is the beautiful adornment and the completion of the creation (through Adam). And [alluding to the hadith just cited above] Allah has chosen an Hour of its hours that is like a spot in the mirror. That is the place (of manifestation for) the form of the one [i.e., Adam, as the emblematic fully human being and divine vice-gerent] who is disclosed in the mirror of this Day. Thus He/he sees in it/him H/himself. And through that Form [of all human being] that appears between the mirror (of creation) and the One Who looks in it, there takes place the (divine) Addressing (of each human soul) and the imposition of responsibility (taklif: on each human being). And there is no Day among the Days (of Creation) more perfect than the Day of Jum‘a, because in it there is made manifest the Wisdom of (God's) Capability, through His creating on that Day the human being whom Allah created on His Image. So there remained no (more) perfection for the divine Capability to create, since nothing is more perfect than the Image of the Real (surat al-Haqq)…. Now since God specially distinguished (this Day) by that 'Hour' which does not belong to any other Day - and time (zaman) is nothing but those Days - therefore this Hour does not pertain to any other times but to the Day of Jum‘a. It is one part of the twenty-four parts of the Day, and it is in the half of the Day which is called daytime (nahar). So it is in the manifest dimension (zahir) of that Day, and in the inner dimension (batin) of human being, because the outer dimension of human being corresponds to the inner dimension (night-time) of the Day, while the inner dimension of human being corresponds to the outer dimension (daytime) of the Day. Ibn al-Arabi also comments on the imperative question of whether this Hour is fixed; or is it floating all over the Day, so that each Week it comes at a different time, since the original hadith above [Kanz: 21063] did not give any explicit indication of its exact location 'in' the Day of Gathering. Ibn al-Arabi, in any case, does not rule either possibility. He suggests that if we have to take the strict sensational meaning of the analogy between the Day and the mirror and the forms that appear in them, then that specially chosen Hour would be fixed. But if we want to take it as an abstract meaning in the imagination, without moving it into the world of senses - which is quite plausible in this context - then we could say that it may be floating all over the Day of Gathering. So he affirms that both possibilities are plausible and that the issue may not be resolved without a further divine specification [I.466.17]. However, because it denotes the creation of the Human Being as the Image of the Real, this Hour must be fixed (on the Day of Gathering) among the original (divine) Days that are the 'Days of events', although it might be floating in the normal 'circulated days' that we actually experience, because they are 'intertwined' with the 'Days of events'. As for the last dayd Ibn al-Arabi says that 'the motion of Saturday was created from the (divine) Attribute of Speaking (kalam), so everything in the existence glorifies in thanks of its Creator, but we do not understand their glorification [II.438.16]. Obviously Ibn al-Arabi is referring here to the verse 'the seven heavens and the earth, and all beings therein, declare His glory: there is not a thing but celebrates His praise; and yet ye understand not how they declare His glory! Verily He is Oft-Forbearing, Most Forgiving!' (17:44). We shall also see in section VII.8 that the world essentially is the 'words' (i.e., the vibrations) generated by its entities on the smallest scale. This is true for whatever we hear, see, smell, taste and everything physical - all are the 'words' spoken by the entities of the world. This seems to cope very well in accordance with the recent theory of Superstrings. Saturn (Kaywan) is in the seventh sphere from the earth, and this heaven was created by the (self-disclosure of the) divine Name 'the Lord' (al-Rabb). Allah created this heaven, its planet and the 'Day of Rest' (al-sabt, Saturday) in the lunar mansion of the constellation Khirtan (also called al-Zabra, and it is the eleventh mansion of the twenty eight moon mansions), and He made it a dwelling place for the prophet Abraham. Saturday bears a very important and unique meaning for Ibn al-Arabi, since he considers it to be the Day of eternity. This concept is initially mysterious, but extremely important, since Ibn al-Arabi mentions it many times in the Futuhat and other books and considers it as an undisputable fact. The whole world (as kinds and species, including metals, elements, plants, animals, angels, jinn and humans) from its beginning to its end was formed in six Days, from the beginning of (the night) of the First Day until the end of the Day of Gathering (Friday), and there only remains Saturday for changing from one state to another and from one rank to another, and for transmutation from one being to another, constantly.… That is why the 'rulers' (in terms of higher astrological/cosmological influences) on this Day are cold and dryness (so that they will be able to hold the picture in imagination in order to feel the continuous presence, as will be discussed in section V.6), and among the planets: Saturn. So this Day alone was a circumferential orb whoever moves in it will know the Identity, the Attributes, the Actions and the Effects. This alludes to the three types of divine Names: the Names of Essence (asma' al-dhat), the Names of Descriptions or the Attributes (asma' al-sifat) and the Names of Actions (asma' al-af‘al) [I.423.20, I.67.28; K. al-Masa’il: 97] and the 'Effects' here are the entire Creation. So Ibn al-Arabi says that the one who moves with the orb of Saturday will know the Real and the Creation. This is in fact the description of the spiritual 'Pole' - like Ibn al-Arabi himself - who is therefore 'out of time' (see also section II.7), because he already knows that he witnesses the real Day of Saturday. And so the Day of Eternity starts which is Saturday (al-sabt), and al-sabt means 'rest'; it is the seventh Day, and it has no end. No sense of weariness touched the Creator in creating what He did. So Saturday was the Day of being finished with the creation of the levels of the world, but there still remains for Allah the creation of what this world requires of the states (for every individual creature), which are eternally endless and without limit. He also named chapter 53 of al-Tanazzulat al-Mawsiliyya: 'On the Inner (Spiritual) Knowing that Saturday is the Day of Eternity, and it is the Day of Transmutations'. Saturday, therefore is the 'Day of Rest' (as its name in Arabic, al-sabt, also indicates), because Allah has finished the creation (of all the cosmos and human being) on Friday, so that there remained nothing new to be created - except for the endlessly changing states of all the creatures in time. Allah created the world in six Days; He started on Sunday and finished by Friday, and no sense of any exhaustion touched Him; nor did He get weary from creating the creatures. So when it was the seventh Day of the week and He had finished creating the world, He looked like someone who is taking a rest from weariness. So He reclined and put one leg over the other and said: 'I am the King', as narrated in the prophetic sayings, so this Day is called al-sabt, which means 'the Day of Rest'. It is the Day of Eternity, because in this Day the individuals of every species are formed in the world and in the hereafter. There are only seven Days, and each Day has a ruler (wali) designated by Allah. So when the matter/Command ended up on Saturday, Allah assigned it to a ruler with the ability to stabilize and fix, so he can stabilize the forms (of all the creatures) in the 'Dust' (al-haba’, of the barzakh or divine Imagination). So the daytime (nahar) of this Day - i.e., the Day of Eternity - is for the people of the Gardens, and its night-time is for the people of the Fire: so there is no evening (end) for its daytime, and its night-time has no morning. I knew that you were called al-Sabti because you worked every Saturday for what you ate during the rest of the week … so why did you choose Saturday from the rest of the days of the week? This is a very good question. I knew that Allah started creating the world on Sunday and finished on Friday, and on Saturday He reclined and put one leg over the other and said: 'I am the King'; that is what I heard in narrations when I was in this world. So I swore to work like that. So he worked on Saturday and rested (to devote himself to worship Allah) in the other six days. So Allah's work of the creation was done in the six Days from Sunday to Friday, and the 'Day of Eternity' is for us to work and develop through the path leading to our ultimate destination. On the other hand, the fact that the seventh Day was created through the divine Attribute of Speaking reminds us that the very First Day was created through the divine Attribute of Hearing. Ibn al-Arabi typically points out that this all together is like a circle: since the world is created through divine Speaking (the Command 'Be'), so the creatures first needed hearing in order to hear that existentiating Command. Because human beings are - at least potentially - uniquely created in the fully theomorphic Image of Allah, He granted them something of the Attribute by which He creates things, so they in turn can create through 'speaking': these are, for example, the meanings one creates in the soul of the hearer when one speaks. And because creation is in the end a divine act, the Prophet Muhammad says that 'Allah is by the tongue of every speaker' [Kanz: 7842; see also: IV 187.19, IV.292.32]. So this brings us back to the initial receptive state of 'Hearing', because everything in the world is at the end perceived through vibrations, even the visible and other things. Therefore, the creation takes place always, at every moment in time and in every point of space. In terms of the same divine creative cycle of the seven Days explained above, the world is re-created every moment in six Days (from Sunday to Friday) and displayed on the seventh Day (Saturday). Indeed in terms of Ibn al-Arabi's famous theory of the oneness of being, the speaker is in fact Allah, and the hearer is also nothing other than Allah [II.367.16]. Ibn al-Arabi frequently expresses this paradoxical reality in language referring to the forms of the ritual prayer, as when he says: 'Thus Allah says by the tongue of his servant (as he says during the prayer) 'Allah hears who praised Him'; and then the servant says 'Our Lord, to Thee is the Praise! ', not to me' [II.367.14]. Also he concludes: 'You praise Yourself (on the tongue of every speaker), and You hear Your words. Because the Praise is only for Allah and by Allah, [I.112.32, alluding to Qur’an 1:1]. Now the fruitless is that from which nothing is born, so it does not have a birth of its kind. So (Saturday) is called 'fruitless' because at the end there is no Day after it, and this refers to Saturday from the (divine creative) Week, which is the Day of eternity. Its daytime is all light for the people of the Gardens eternally, and its night-time is all darkness for the people of Gehenna, also eternally. The ambiguities in the translation here are quite intentional: God sees Himself reflected in (both mirrors of) creation and Adam; Adam sees himself/God in the mirror(s) of himself and creation; and finally God (as Spirit) sees what Adam sees. See chapter 1 of the Fusus al-Hikam for the full elaboration of the teaching summarized here in a single short Arabic phrase. This Page has been viewed 134 times, and the number of All-Pages-Views is 107122 times, since 1/3/2019.